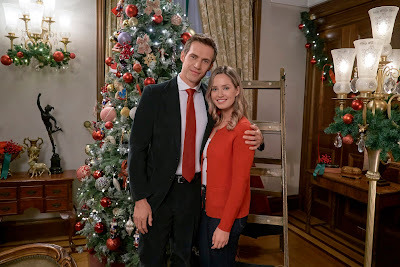 In that spirit, I am here as I am every holiday season to offer the cream of the Hallmark Channel, with a couple Lifetime contributions mixed in, Countdown to Christmas crop…based on synopsis, of course. 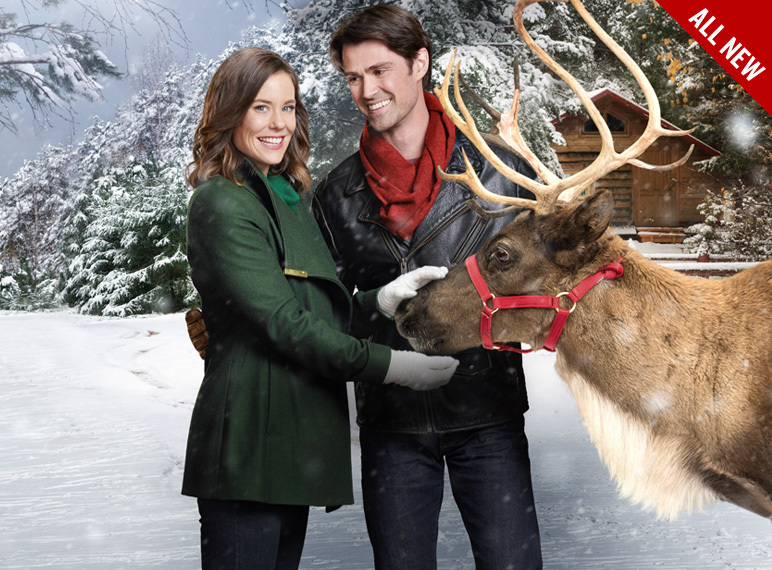 Because nothing is more fun on TV than reading the synopsis of a Hallmark Channel Christmas movie. 9. A Shoe Addict’s Christmas. “Noelle (Candace Cameron Bure), a holiday hater, becomes locked in a department store on Christmas Eve. There, she meets a woman who identifies herself as Noelle’s guardian angel and introduces Noelle to several ghosts of Christmas past, present and future.” Cameron Bure, who My Beautiful, Perspicacious Wife considers the Hallmark Christmas crème de la crème, has starred in years past as the woman at odds with a man on a road trip after their holiday flight is cancelled, as identical twins who swap lives for the holidays, and, of course, as the hard-charging career woman who has her holiday spirit renewed in a small town. As such, it was only a matter of time before CCB went Dickens. 8. Every Day is Christmas. “A self-proclaimed workaholic (Toni Braxton) embraces the Christmas spirit when her past, present and future collide, forcing her to risk the one thing money can’t buy: her heart. ” So I guess what we’re saying is: Toni Braxton needs to un-break her heart. 7. The Spirit of Christmas. “Kate, a workaholic lawyer, has three weeks to get a haunted bed and breakfast appraised and sold. The uncooperative manager claims a spirit who lives there will not approve.” Evoking “The Nightmare Before Christmas”, this throwback from 2015 suggests a blending of Christmas and Halloween with a vintage first sentence modifier to communicate you are definitely still in Hallmark land. 5. Northern Lights of Christmas. “Zoey Hathaway (Ashley Williams) has been working towards her lifelong goal of being a pilot for years, but everything is thrown off-course when she unexpectedly inherits a reindeer farm, along with the dangerously handsome ranch hand Alec Wynn (Corey Sevier).” So much in play here, people. First, “dangerously handsome” intimates a little extra Hallmark spice (will this one air only after 9 PM EST?) while Zoey’s occupation suggests she’ll take the reins of Santa’s sleigh before it’s all said and done, a potential special effects goldmine surpassed only by the how-will-Hallmark-pull-this-off promise of the Northern Lights. 4. The Thanksgiving House. “After inheriting a house, a lawyer (Emily Rose) finds herself in a legal battle with a historian (Justin Bruening) who tells her it was the site of the first Thanksgiving.” I am desperate to see what the literal First Thanksgiving house looks like on a Hallmark Channel budget; My Beautiful, Perspicacious Wife is desperate to see how the Hallmark Channel thinks a historian looks. Either/or, this is must see. 3. Pride, Prejudice, and Mistletoe. “A career woman (Lacey Chabret) who hasn’t found love has her life turned upside down when she returns home to care for her sick mother.” All on its own this synopsis would be intrinsically Hallmark, instantly establishing its card-carrying Countdown to Christmas credentials straight away with “career woman.” But, obviously, the title, a riff on Jane Austen, takes this one a bit higher if only because the very ideas her Pride and Prejudice sought to subvert are ones the Hallmark Channel traditionally seeks to embody with all the milquetoast it can muster, teasing a push/pull of epic proportions. 2. A Very Nutty Christmas. “Kate (Melissa Joan Hart), a workaholic baker, has given up on Christmas, especially this year, when her boyfriend dumps her and she's got to fill an order of 12,000 cookies before Christmas. However, the gift of a magic nutcracker who turns into a real man makes the once cynical Kate understand the magic and beauty of Christmas--and of love.” A nutcracker coming to life would have been enough to land this in the Top 10, obviously, but Melissa Joan Hart, as she re-proved in last holiday season’s “A Very Merry Toy Store”, where she threw so much convincing shade at Mario Lopez’s rival toy store despite their obligatory falling in love that he must have decided not to return for this one, is the G.O.A.T and drags it to #2. 1. Christmas at the Palace. 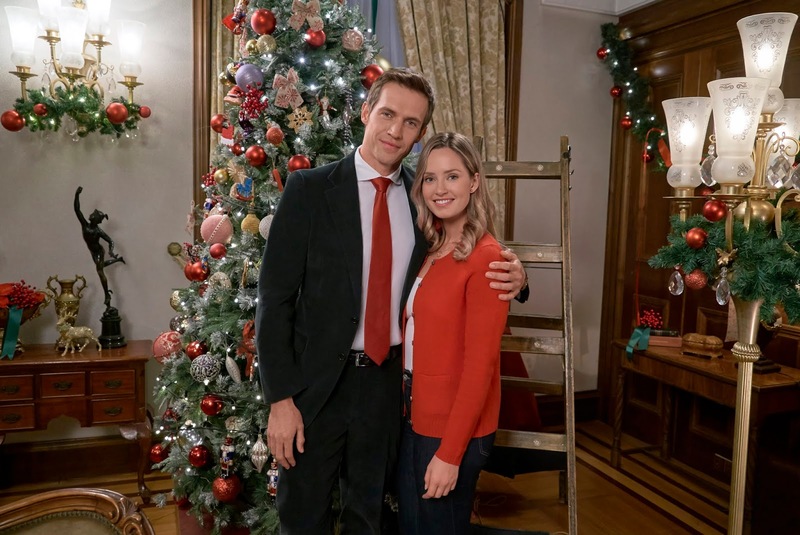 “Katie, a former professional ice skater (Merritt Patterson), is hired by the king of San Senova, Alexander, to help his daughter in a Christmas ice skating performance. As Katie spends time in the castle, she and Alex begin to develop feelings for each other.” The movie combines the spirit of so many Sonja Henie ice skating spectaculars with right on topicality of an ordinary American turned Royal a la her unassailableness Meghan Markle (we’re not worthy!!!). It’s got everything.